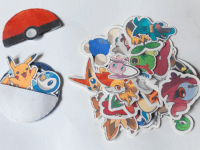 Unless you’ve been living without Internet access, you’ve definitely heard about how the new smartphone game Pokemon Go is sweeping not just a nation or four, but the whole world! Kids of the 90s are cell phone-carrying adults now, but the game is giving them a chance to get nostalgic and relive part of their childhood. 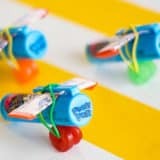 At the same time, it’s introducing a whole new generation to something we all loved as kids! It’s even encouraging people to get out and walk around their city, meeting new friends along the way. 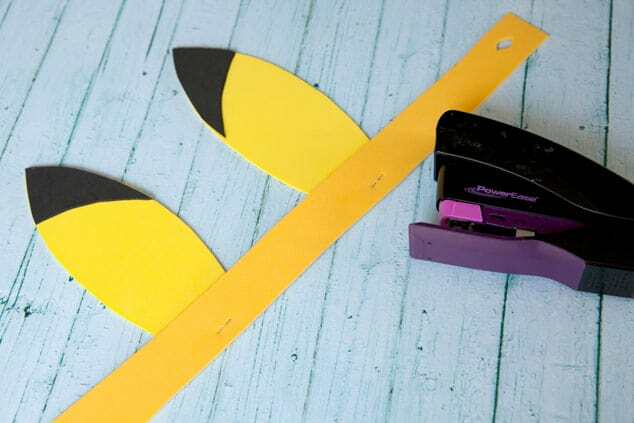 In celebration of Pokemon Go, we’ve made you a list of Pokemon-themed crafts, just to make sure you still get your share of non-electronic DIY time throughout the week! 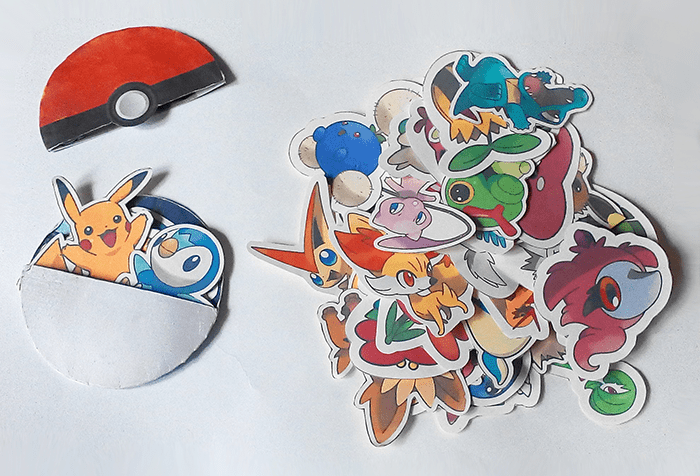 If you’re looking for something very simple that even little kids can do themselves, then these awesome little Pokemon graphics by Merry Printables are a great option! 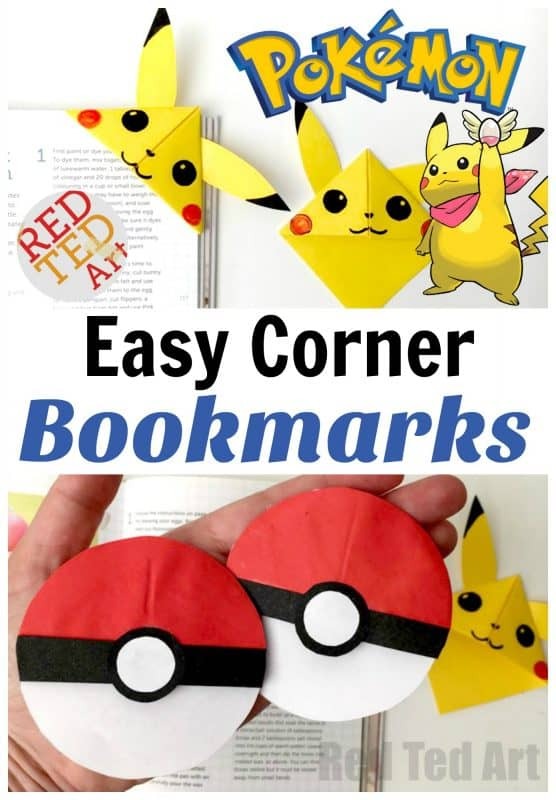 All you need to do is print them, cut them out, and fold the Pokeball into a little paper pocket so kids can actually slide the Pokemon inside for safe keeping. 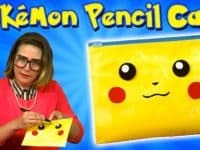 Perhaps your kids (or even you, we’re not here to judge) want to transform themselves into Pokemon? 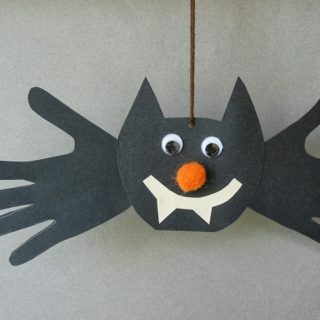 These adorable felt masks are the perfect way to do it! 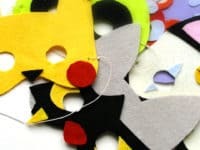 Find out how to make all kinds of Pokemon masks from Myzotte. 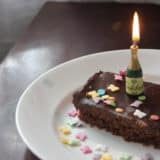 Are you looking for some fun decor for a themed birthday party, or even just some kitschy outdoor lighting for your desk? 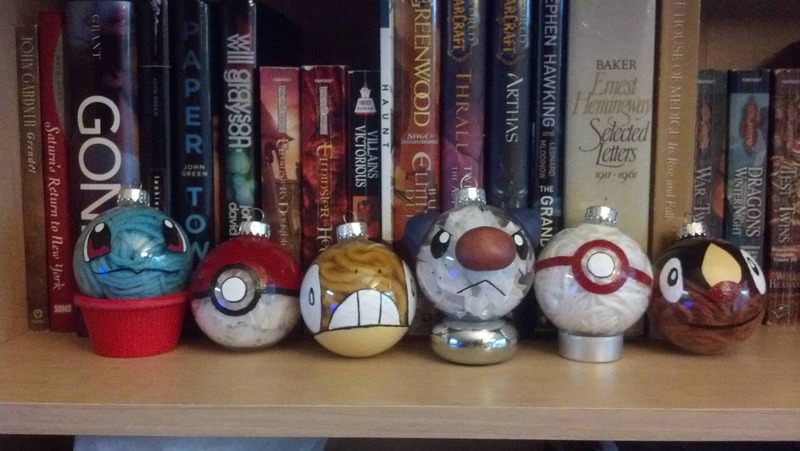 There’s a Pokemon-themed solution for that too! 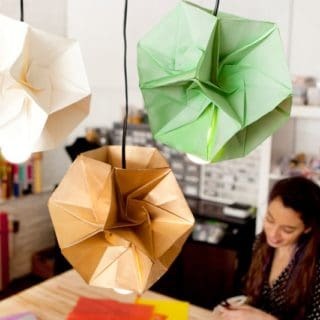 These paper lanterns are an easy craft for people who love drawing or painting. 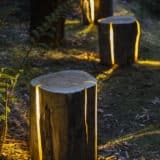 Check them out on Red Ted Art. 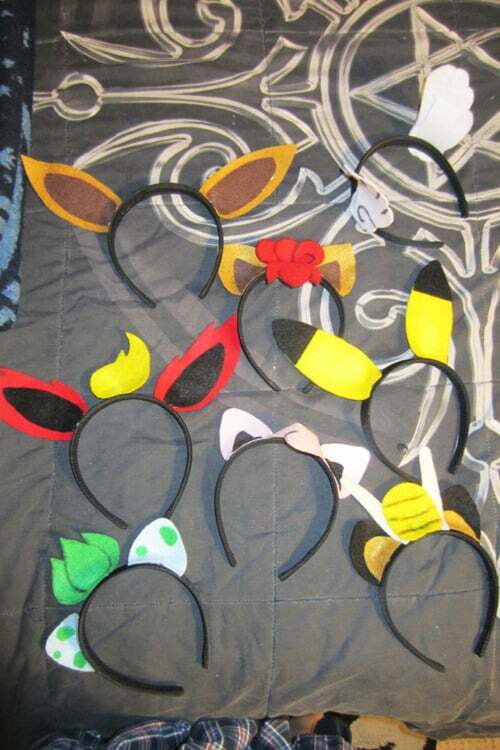 Do you like the idea of dressing like a cute Pokemon, but you find masks annoying or you don’t want to cover your face? 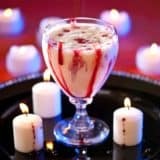 Stitchy Girl has a different idea for you to try! 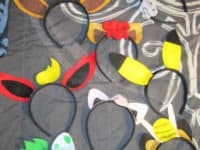 These headbands have the signature ears and hair of different Pokemon and we think they’re beyond adorable. 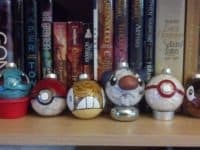 Jabberwonky suggests making your friends Christmas gifts or decorating your own tree with DIY Pokemon Christmas bobbles! 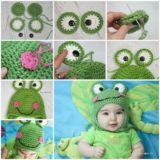 Paint or stencil their facial features onto the surface of the glass or plastic ball and, instead of painting solid colours that will use up your supplies, fille the inside with yarn in the colours you need for a little texture. 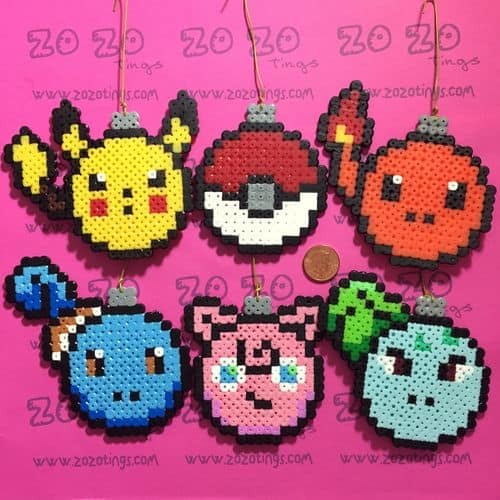 Do you remember making things out of perler beads when you were a kid, carefully arranging them to look like digital pictures and melting them just right? 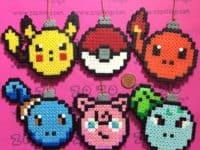 Well, get double nostalgic by making perler bead crafts shaped like Pokemon and Pokeballs, just like Zo Zo Tings did! 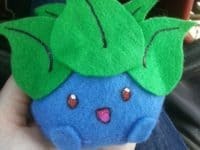 Felt plushies make awesome toys for kids, but they also make cute desk or car decor for Pokemon-loving adults too. 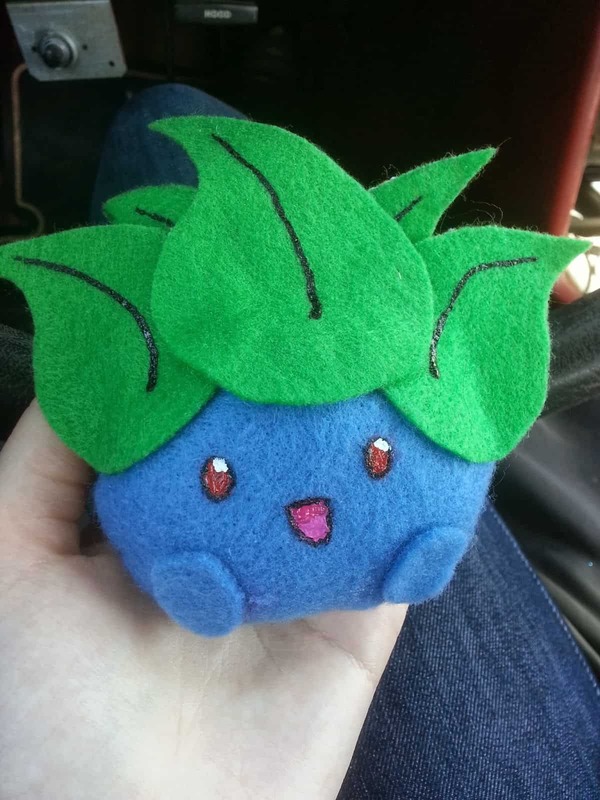 Check out how adorable this little Oddish doll by Milk Polka is! 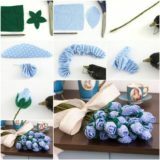 Have your kids been learning how to fold paper for origami but you’re looking for a pattern that will keep their attention a little better than another paper balloon or crane? 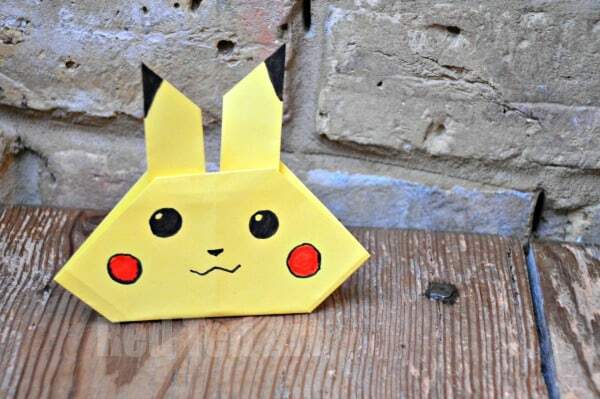 We’d be willing to bet that they’ll totally love making this origami Pikachu from Red Ted Art. 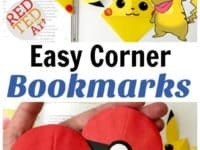 Red Ted Art also has an origami Pikachu corner bookmark pattern, just in case your kids are also avid readers. 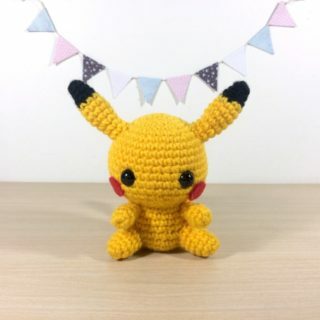 They could mark their place in the pages of their Pokemon comic books with the finished Pikachu! Are you looking for an easier way to turn your child into a temporary Pikachu than hairbands and felt? 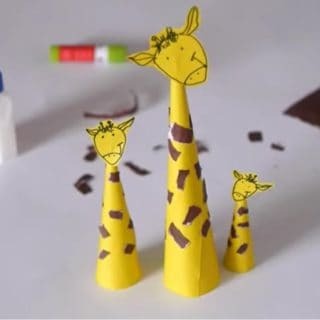 Grab some coloured paper, some scissors, and a stapler and then head on over to Frog Prince Paperie to see how these ones were made! 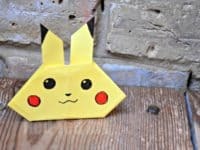 VIEW IN GALLERY Cute Lil Cupcakes guides you through the process of making not just awesome duct tape jewelry, but awesome duct tape jewelry that looks like Pikachu’s face! 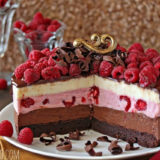 We think this makes an adorable statement piece for people with a flair for pop culture style. 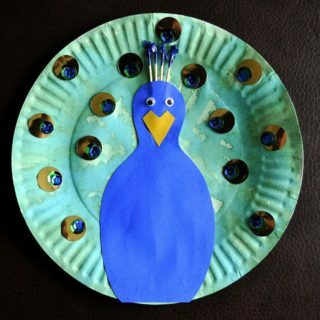 I Heart Arts and Crafts knows that kids love to get their hands dirty when it comes to crafting time. 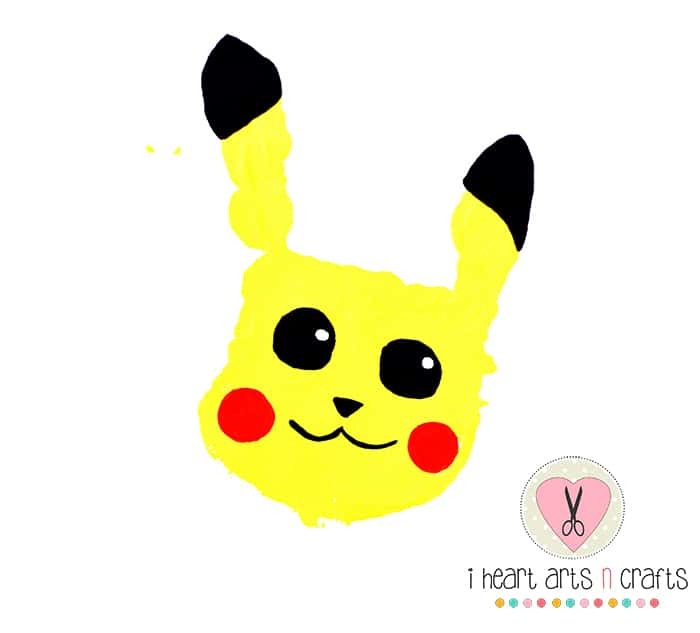 They show you how to paint your child’s hand to print a Pikachu shape that you can then add features to! Do you have an old pair of yellow socks that you don’t wear? 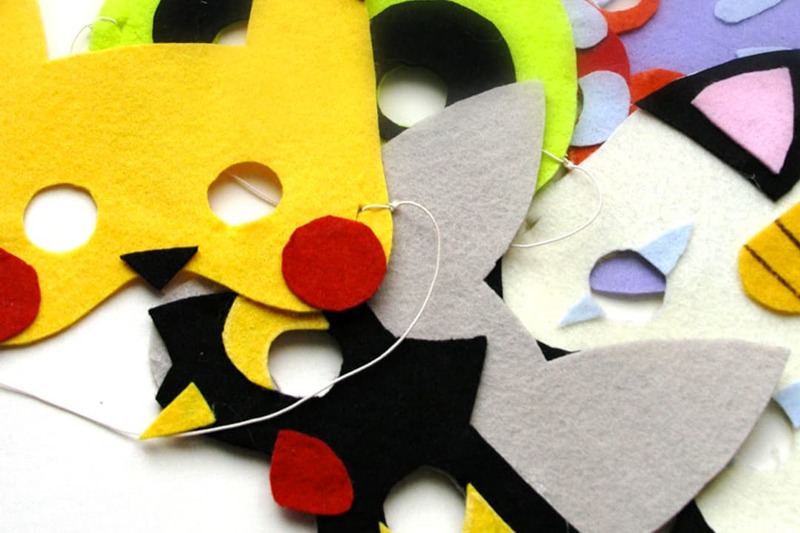 Follow BudgetHobby‘s lead and turn them into an adorable little stuffed Pikachu toy! 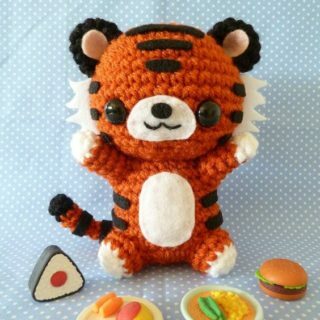 Bonus points if the socks are fuzzy, because your finished doll will be cute and fuzzy too. 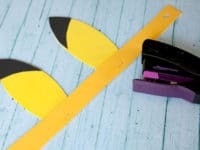 Are your kids begging you for Pokemon-themed back to school gear? 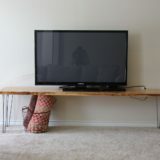 You can probably find things in stores, but making your own stuff is always fun, especially when it’s an easy project that they can hep you with. 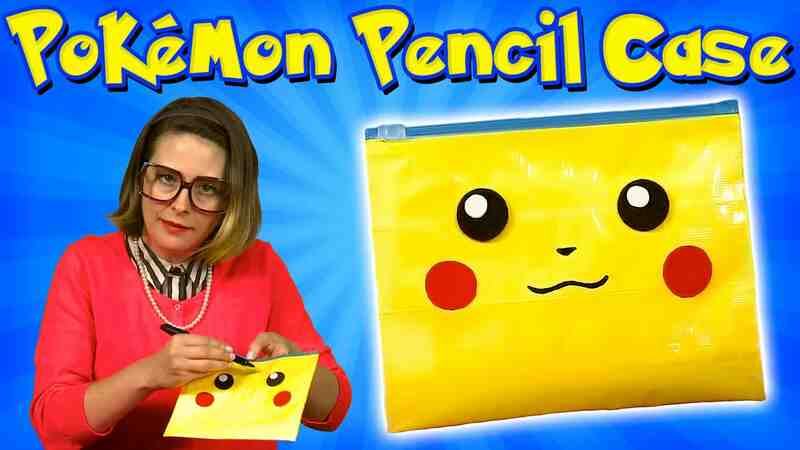 Check out how Cool School made this adorably bright Pikachu pencil case! 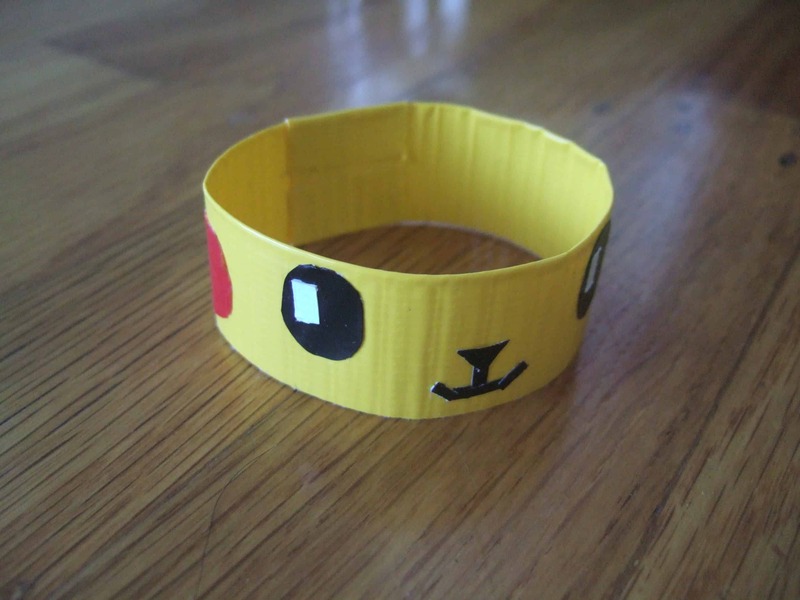 Are you an avid sewer and a Pokemaster? 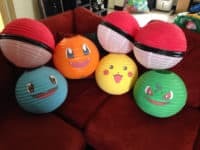 Then this giant Pokeball shaped pillow is the perfect DIY project for you. 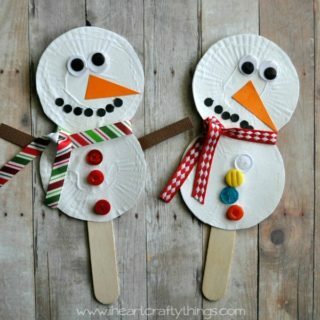 We also love that it’s quite easy to make! 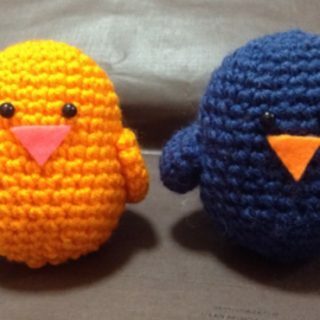 Check out how it’s done on Sew Desu Ne? 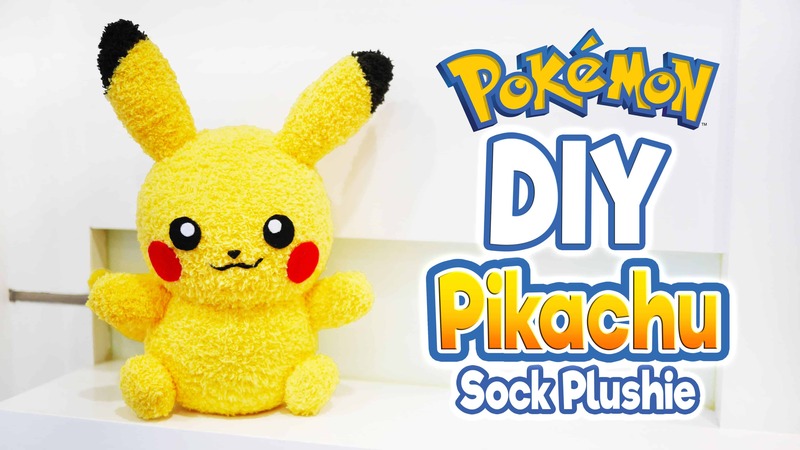 Time to add another layer of fun to your Pokemon Go experience with DIY crafts that will wow friends and family!